So last year you were, what, some ambiguous undead being? The year before some timely pop culture reference? You probably inspired in others a moment of pause and a mild-mannered, polite chuckle, respectively. 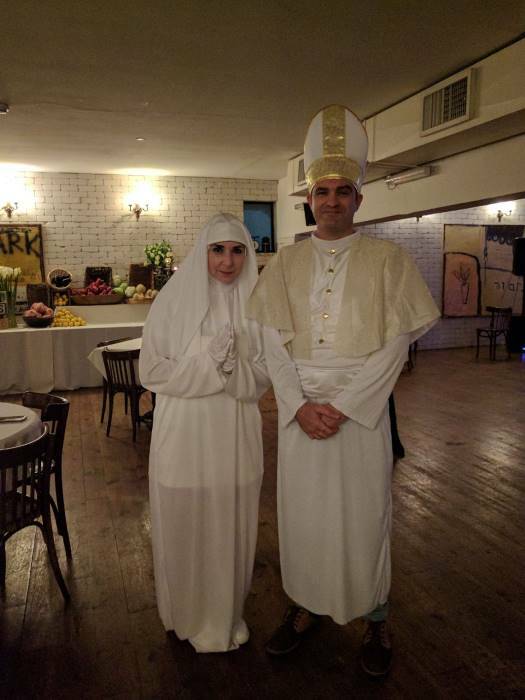 We say this with confidence because we're something of authorities when it comes to Halloween costume shenanigans. We've got you and your methods pinned, dude. So if the looming costume party on your calendar has you lost in an internet ocean of garb, allow us to help you find your way—to see the light, if you will. What's more inspiring and immortal than a Ken Bone sweater? What conveys more power than those Incredible Hulk fists or that Superman cape? What sort of swag would impress your boss, your mom, and your friends? 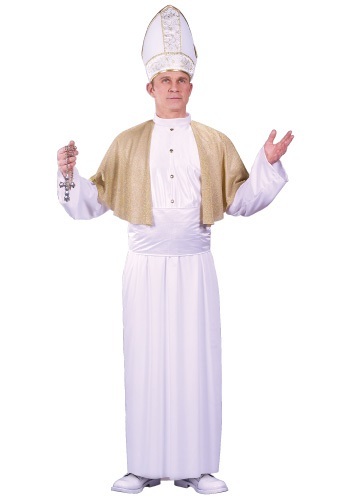 Probably this white-and-gold Pope get-up, and only this. Imagine the blessings (and curses) you will be authorized to issue in these holy robes. Stick your foam, gold-trimmed hat out the front bay window and greet everyone with, well, whatever decrees, lectures, or ramblings you see fit—you're the pope, so if anyone believes they can tell you what to do, they don't know how this works. They are misguided and you are perfect. They are lost and you are found. For best results, let this get to your head. Only you, the Holy See, can help them find the way.